I thought 10 Steps to a Successful School Drop Off would have been enough information to help parents safely navigate the treacherous school drop off/pick up waters. Sadly, dear friends I was wrong. So, because you asked here is the safety guide for retrieving your children from school. As always feel free to laminate this in the teacher’s work room and post it outside your school’s parking area. 1) Do not at any time “freelance” from the correct entrance and exit points to your child’s school. Not even if your uber talented angel, who everyone that will still listen to you knows is a freaking sports prodigy, has a private, very expensive, oh so hard to get lesson, from pick one: a batting coach, almost MLS soccer God, former Division 3 NCAA football star, dance legend, as seen on TV Cheer captain etc. and this means you’ve got to pick up your kid right this very minute because that lesson starts soon and the money clock is tick, tick, ticking. This harrowing, almost crisis VIP situation, still does not give you permission to enter in the exit only lane, drive on the grass, hop a curb, park in the school bus area and generally give every other parent that is following the rules the middle finger with your car management behavior. 2) If you’re in the school pick up line and your precious child gets to the car and announces they forgot their homework and will need to go back into the school DO NOT remain in the pick up line. You will hold up the line for God only knows how long because there is n-o-t-h-i-n-g slower than a kid going back into a school to look for something. You have two choices. 1) Tell your child to get in the car and then proceed to a school parking lot. From there you both go into the school for homework rescue. 2) Send your absent-minded sweetie back into the school and inform him/her that you will be waiting for them in the school parking lot. 3) The school pick up lane is not an informal sorority rush function or a Kappa mixer with the Chi O’s. This means Under No Circumstances do you, the parent/driver, leave your car. I know it’s tempting when you’ve got five minutes to kill till the bell rings and there’s Sarah sitting in her Suburban and it’s been maybe a whole two hours since you talked to her at the Pilates studio and wow, a lot has happened since then, like you just found out that Mandi is going to be chair of the Junior League Christmas Affair. Are you F’ing kidding me? Regardless, I implore you to resist the urge to exit your vehicle. Stay seated and distract yourself by doing a Kegal workout (remember to keep those muscles contracted for at least 10 seconds at a time) because we all know what’s going to happen when you get out of your car. Sure, you’ll start by chatting up the Escalady behind you but then because you’re one super popular mom and you’re having an excellent hair day you’ll begin working the pick up lane like it’s a receiving line at a wedding. Before you know it you’re engrossed in some juicy gossip with the mom 15 cars back, so juicy you don’t notice the kids are out of school and meanwhile your empty vehicle has been holding up the pick up lane for 10 minutes. 4) You also do not leave your vehicle to go inside the school to check on one little thing that you know will only take a minute. Less than a minute really because you just need to ask a quick question. It never takes a minute. Elementary and middle schools are the lands that time forget. Once you enter a single minute magically stretches into 20 and there you are inside blissful unaware that your empty car is creating a parking lane log jam. 5) If you are volunteering at the school do not make the mistake of parking your car at the beginning of the pick up lane. Yes, I know you arrived at school at 1 p.m. so you could cut out fall leaves for the cafeteria bulletin boards and of course no one was in the pick up lane at 1 and quite frankly you think you should get the first space in line because hello, you’re volunteering. Shouldn’t there be some upside? But here’s the problem, by the time the bell rings you are still not at your car because you got distracted either admiring your handiwork with scissors (Seriously, fall leaves have never been cut with more precision and attention to detail) or by chatting with various members of the school staff so there sits your driverless car, all alone, creating gridlock more impressive than those leaves you cut. 6) Restrain yourself with the best of your ability to not flee from you car the moment you see your children’s happy faces walk out of the school building. I know it’s hard to wait even one second longer to give those bundles of awesomeness great big hugs and sprinkle kisses up and down their faces as those other, less loving, and dare I say lazy moms, just sit in their SUV’s and wait for their kids to actually open their own car door. I mean OMG, you’ve been separated from your love bugs for seven agonizing hours. What kind of mother doesn’t get out of her car? Who cares about holding up the line? Just take a couple of deep breaths. You’ll have them all to yourselves very soon and then you can do a great big family hug and ignore them as soon as you get home to watch a Real Housewives of Beverly Hills marathon. 7) If you are sending Nana, the nanny or a neighbor to collect your kids from school I not only beg you to make sure they know how the school pick up lane works but I suggest a trial run with you in the car for guidance. One timid grandma, texting nanny, or clueless neighbor can clog up the whole pick up procedure. I once saw some kid’s Papaw reduced to tears and he was a Vietnam Vet. This kid retrieval process is not for the faint of heart. Forget the Vietcong, there’s not much meaner than a mom who has to go to the bathroom (like you wouldn’t believe how bad because right before she came to get her kids she made a quick grocery store run and there was no way she was going to use the restrooms at Walmart), has three kids to get to soccer practice in less than 30 minutes and is about to run out of gas stuck behind a great grandpa in a 1979 Buick LaSabre who doesn’t know he’s supposed to move up in the line not stay parked. If you already abide by these rules I salute not only your common sense but your higher level cognitive intelligence. Go forth now my smart friends and lead by example. Dear Snarky – Did I over complain at my kids school? Carpool lines: The bane of my existence when my kids were this age. How about the morning run? The idiots that had to watch their precious one walk. all. the. way. in. the. door. before they drove off. LIke someone was going to kidnap ’em. Yes, that last 10 feet into the school is a perilous journey! If only I could pass this out to every parent at my school. I swear to God, the number one rule ever is DON’T F**K UP THE CARPOOL. Love this Sherry! I teach at an elementary school and help load kiddos in the afternoon. It is quite a production and you’re right it only takes one visiting Nana to hold up the whole line. This year the Texas Dept. of Transportation closed off three of four roads coming into our school while they work on our loop. They forgot to inform us this was happening the week before school started. UGH! What about the parents who just tell their kids to disregard the rules and go ahead and walk all the way back to their car when they know the rule is your car has to be at a certain point before they can hop in? And the parents who park in handicap parking spaces? Sure hope my disabled mom won’t be needing those since it’s so inconvenient for you to park in a regular spot? Parking in a handicap spot is the worst behavior. It just begs for karma to come knocking. Love this! And what’s with those moms that take 20 minutes to buckle their kids in! If it takes you that long park and walk to get your kids. You’re holding up the line! OK, I have to share my li’l tidbit here….I recently moved from one side of town to the other, to a shall we say, neighborhood with a more diverse population. Don’t get me wrong; great school, just smaller houses, and more apartments nearby. I was waiting in the “turn” lane to cross the two-lane street to go into the “circle”, and most folks take turns. One turns right into the circle, and the next person crosses the road, you get the picture. The lady in the white Yukon turning right doesn’t wait like she should. FIne. I can be the bigger person. She must have been at a crucial point in her Candy Crush game, and didn’t look up to see that the line had opened up. I waited, then went. She looked up just in time to see me drive by. She gestured at me, and then flipped me the bird! I didn’t see it. My son did! LOL, then she pulled up behind me and put up the little sign with her child’s name on it in nice big letters. So easy for me to read…..and remember. The next day, I was a little earlier, and actually waited in the circle. When the line started to move, the car in front of me didn’t. I waited….waited…..and honked what I thought was a small polite honk…and waited. Then a longer honk, followed by a short one. I decided that if I approached the car under the pretense that I was making sure she was OK, maybe she wouldn’t hop out of her car and beat the crap out of me. So I got out of my car, and tapped on her window. Then louder. SHE WAS OUT!!! Mouth hanging open, head drooped to the side, the whole nine yards! I startled her badly, and she jammed her minivan in drive and nearly got my toes! I have to admit that I felt bad for her. She must have beenso tired to drift off that deeply in the pickup line…..but I also wonder what adventures are waiting for me as the school year progresses. My daughter rode the bus at her last school, but thanks to you Snarky, I was ready to be a good carpool mom this year. Really, It wasn’t my fault. What is this car line you speak of? Here in the northeast we had to find a parking place along the busy street, get out of our cars stand at the other side of the fence and wait for our precious little snowflake to traverse the line of all five grades. they finally reach the gatekeeper (aka principal/teacher) then you had to be spotted and wave. If the teacher/principal didn’t recognize you there was the double check reassurance that yes the child knows the maniac waving and smiling, yes they can go with them, and if you were having a particularly bad hair day then you were called up for license verification. I would give my firstborn for problems in the line, rather than this torture. LOL! I put this link on my Facebook page and the mom that has broken every “rule ” you talked about commented “Don’t you just hate those mothers who do that.” She needs to buy a clue. Wow, thanks for this. If ever I needed to be reminded that I made the right choice by raising my child in a vibrant walkable community and ignore the siren song of the automobile centric suburbs… I’ll just re-read this blog. Every morning I walk my daughter the few blocks to get to her school. It gets the blood moving a bit, and we get some fresh air and quality time. We smile and wave hi to the neighbors, it’s a great and unstressful way to start the day. When she graduates to middle school (which is about a mile away), we’ll likely do the same but on bicycles. The battles enumerated here are unfathomable to me. I guess I’m just surprised that somebody would expect anything but an automobile clusterf*** filled with selfish “me first” entitled parents when they choose to raise their kids in the burbs. 3) Create 20 more parking spaces that zoning says they have to have, even though half of the current spaces sit empty all day and NO ONE uses the spaces during pick-up. They all park on side streets and have their kids classified as “walkers” (because they walk off school property to the parent’s cars) so they can avoid pick-up line. Pick up your kid an hour after school and skip the line. Let your kid wait in the library and read a bit. On September 10th, a twelve year old student was struck by a vehicle in front of ** Junior High School. Although it was a low speed impact and the student was not seriously hurt, we recognize that this is an excellent opportunity to raise awareness regarding safety around all ** Schools. A contributing factor to this traffic crash was an obstructed sight line to the crosswalk caused by a parent that was dropping off another student in a no stopping, standing zone. Another factor was a parent that was not fully following the drop off procedure. 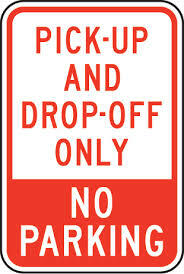 Drop off and pick-up zones and procedures are designated around each school to enhance student safety. They might not necessarily always be the most convenient spot to drop off your student but they are the safest. They may also require a driver to drive a little out of their way. But, it is a small inconvenience compared to the safety of all of our children. We ask that you drive cautiously in the school zones with an awareness of others. We also ask that you please drop off and pick up in designated areas and follow drop off and pick up procedures. We remind parents that cell phone use in school zones is prohibited. The **Police Department will increase enforcement in the coming weeks. How scary and sad. Safety trumps everything. I think of you every time I have to pick up my high schooler. There is no “procedure”, it is located on a major street near downtown and a quarter of the drivers are between 15 and 18 years old. I try to always show up 10 or 15 minutes late and let my precious little angel wait it out for me. She’s 16, she’s just lucky enough I haven’t made her ride the city bus.